D o n ’ t h a t e . . . c a f f e i n a t e ! Enjoy your favorite marshmallow bird as a delicious toasted marshmallow latte! 9 out of 10 rabbits (no… wait… it’s now 1800 out of 2000 rabbits) prefer this tasty drink - coconut and white chocolate combined with espresso and milk. Hot or cold, this sweet drink will tickle your taste buds and put you in a “springy” mood! Espresso Love Coffee is located in scenic kettle moraine country. Just north of interstate 43, we are located in downtown Mukwonago. Ample parking and entrance in back. Located in downtown Mukwonago, Espresso Love Coffee offers a place to slow down and enjoy meeting friends. Espresso Love Coffee was founded in December, 2003, by Katie, whose love for coffee and conversation led her to open the cozy coffee shop. In January, 2019, Dave and Tracy Stockwell took the helm of Espresso Love Coffee, continuing the tradition of the hometown meeting spot of friends old and new. We work hard to welcome everyone who passes through our doors and make the best possible coffee drink, so you may enjoy the rest of your day. We want to be a bright spot in your hectic day - a place to slow down, sit with your favorite drink, read something, get a bite to eat, or chat a while. 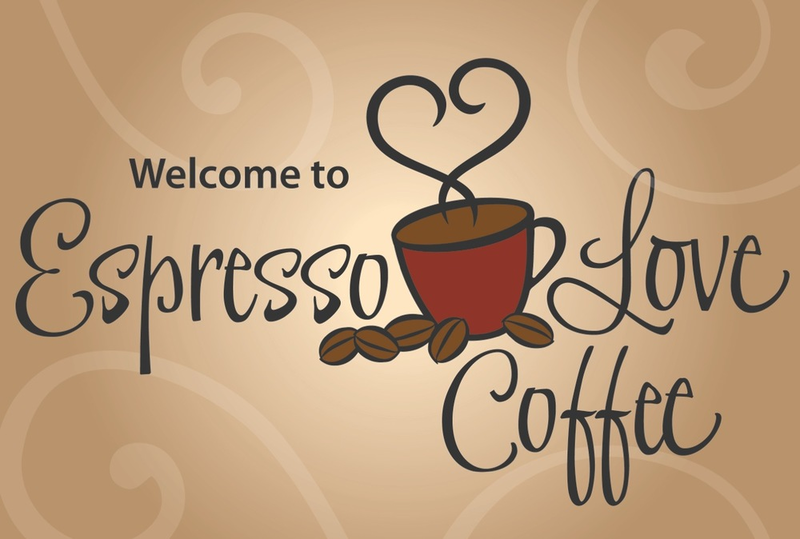 Espresso Love Coffee food choices include fresh bakery, breakfast items, hand-crafted soups, deli sandwiches and paninis. We source organic and local ingredients, when possible, and have gluten free options.